← Ender’s Game Movie Still On Stands Now! 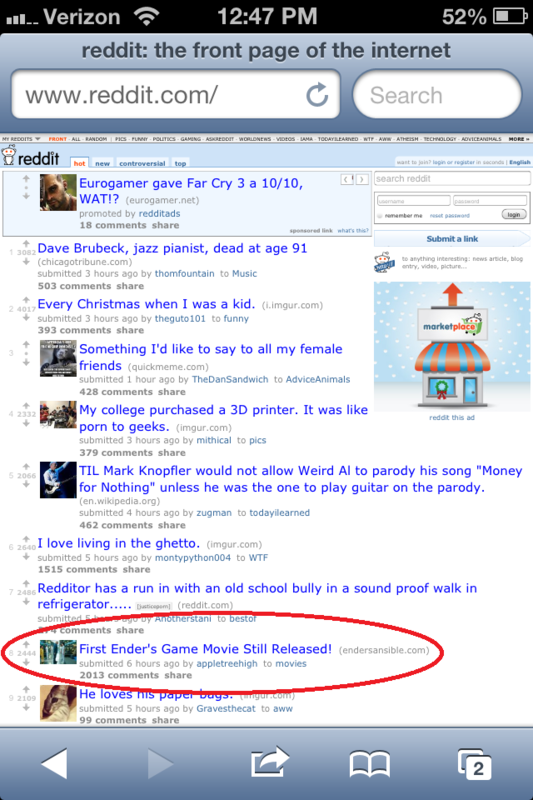 After the first Ender’s Game movie still was released last week one of our readers submitted the link to Reddit. We reached the front page around noon. At one point we were #6, but I didn’t get a screen shot! We were #1 on r/movies all day long. Bonus: The high traffic didn’t crash our servers!